The city of Udaipur in Rajasthan which is heading towards becoming a smart city soon is blessed with plenty of knowledge pool, especially in the technical field. 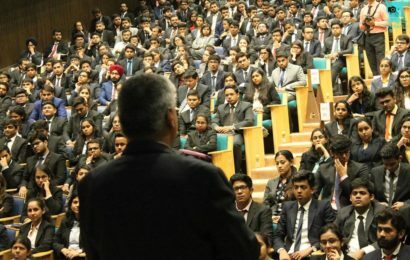 Several colleges have come up with world-class infrastructure and almost all the branches of all the major streams to impart knowledge to students and prepare them for a better future. The city has developed many colleges in the field of engineering. The colleges comprise of many engineering programs such as electrical engineering. For example – Electrical engineering colleges in Udaipur have successfully produced engineers who are now well placed in the top organizations at the global platform. These colleges provide bachelors as well as masters degree course to the students in the field of electrical engineering. Students select the college according to their interest and can easily get enrolled in the educational programs of their preference. The College of Technology and Engineering was established in 1964. The college offers many degree programs to its students through State Level Engineering Test (RPETEAP) and All India Engineering Entrance Examination (AIEEE). It is one of the best electrical engineering colleges in Rajasthan. It aims at providing value education and variety of learning techniques to the students in the field of engineering. The college provides the students with excellent training and guidance along with the placement facility so that the students can be placed in recognized companies and industries. SPSU is enlisted in the top universities of India list by NIRF 2017. It is the youngest university in Rajasthan to receive such a ranking. As engineering is one of the rapidly growing sectors, there is increasing demand for it and has always attracted the students to join this course, particularly the electrical engineering course. Electrical engineering has a huge and wide scope in the growing and developing sectors. The SPSU university in Udaipur has a brilliant campus and modern infrastructure according to the requirements of students. It provides an excellent competitive environment for its students to study engineering courses of their interest including electrical engineering. Maharaja College of Engineering in Udaipur is among the reputed and recognized electrical engineering colleges in Rajasthan. Being established in 2004, it is imparting quality and value education to its students in the field of engineering. Students can opt any engineering stream of their interest like electrical engineering, electronics and communication engineering, Computer Science and Engineering, Civil engineering and mechanical engineering. Pacific College of Engineering was established in 2009. It is approved by AICTE. The college has a huge campus and modern infrastructure to give students an encouraging environment for carrying their studies in the field of engineering. The college also provides placement to the students in various reputed companies. Started in 2008, this institute is affiliated to Rajasthan Technical University and approved by AICTE. The college offers many degree programs to its students. It offers many programs in the field of engineering such as Electronics and communication engineering, Electrical engineering, Mechanical engineering, Civil engineering, Computer engineering. 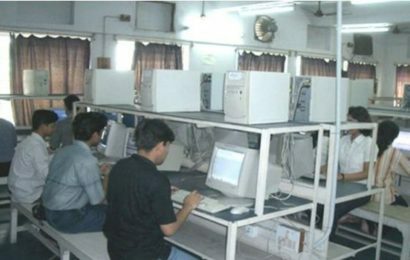 Being one of the best electrical engineering colleges in Udaipur, it aims at imparting value education and several innovative learning techniques to the students in the field of engineering. It is well equipped with quality infrastructure and quality teaching to the students. The college provides the students with excellent training and guidance along with the placement facility so that the students can be placed in recognized companies and industries.